Update: The track features Kanye, Travis Scott, Gucci Mane, Big Sean, Quavo, 2 Chainz, Desiigner, and Yo Gotti. This morning Kanye West announced that he would be visiting L.A.'s Big Boy to deliver the first single off Cruel Winter, the long-awaited follow-up to G.O.O.D. Music's 2012 compilation Cruel Summer. 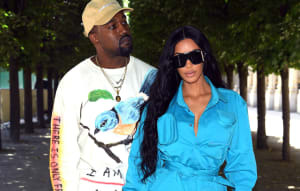 The song is still untitled according to Kanye, but many people have been calling it "Round and Round." It features Kanye West, Travis Scott, Gucci Mane, Big Sean, Quavo, 2 Chainz, Desiigner, and Yo Gotti. Tune in now. It's going to be an icy winter. Brrrr! 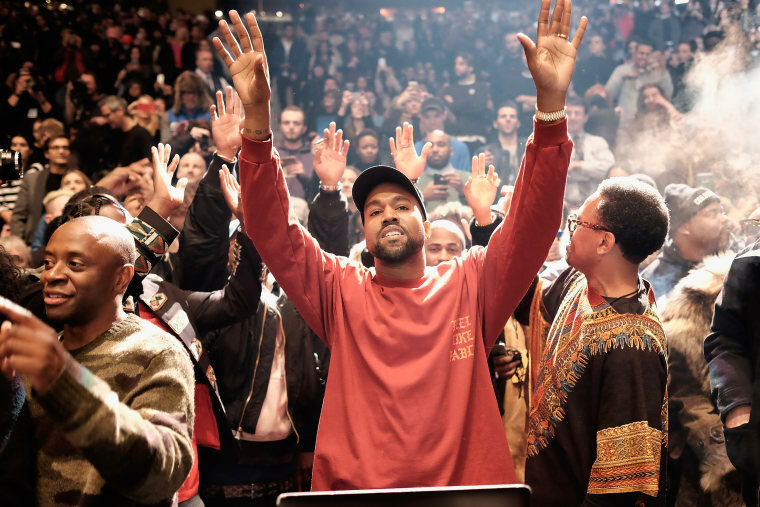 After the song was played, Kanye revealed that there's a long version of it on the way. "We're going to do a version of that song with 12 or 15 minutes, everybody," he said. Before the song's premiere, Kanye sat down with Big Boy for an interview where he was asked about the Taylor Swift call out line on "Famous." "Yes, I told her we was gonna say that" he said. "I didn’t just tell her, I asked her how she felt about it." When asked about the continued success of his Adidas line, he likened the release of the Yeezy Boost 750 to "the second single." In the post-song interview, Kanye said that rapping as a married man has increased his creativity, as he has more limitations to work around. He also added that Kim tells him what to wear, not the other way around. Kanye also mentioned that he plans to set out for a world tour beginning in September. You can listen in to the live radio stream here. This post has been continually updated with breaking information.